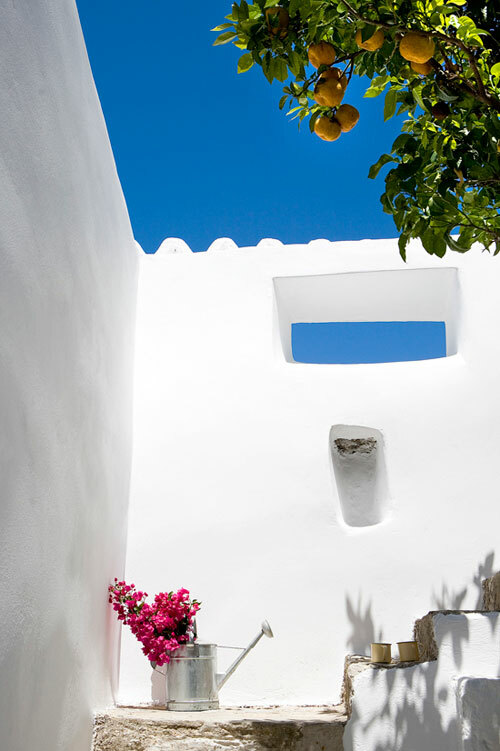 These images of a lovely Greek courtyard instantly bring me in summer mood! 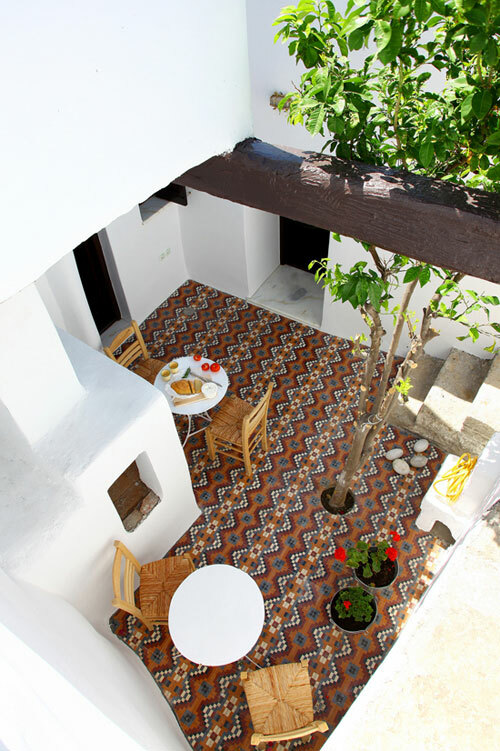 It is simple but has lots of character with the beautiful tiles, white washed walls and lemon tree. 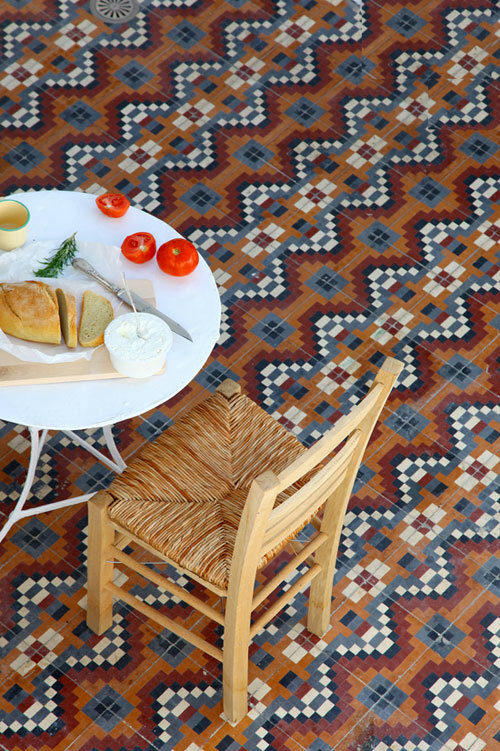 The courtyard is part of a small, intimate hotel in Konaki, Greece. 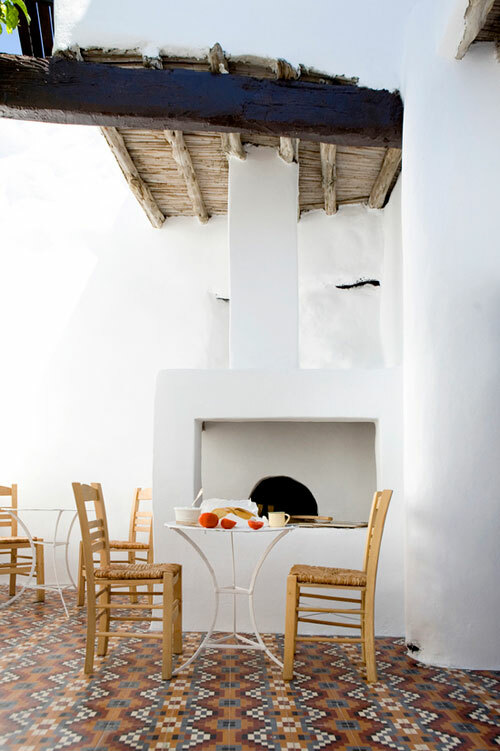 so simple, beautiful and tranquil….. less is more! One of my favorite playgrounds, beautiful and relaxing! Love this so much! Greece is the most beautiful country I’ve ever visited and this makes me long to go back!